Elite Garnet Red Adult Funeral Urn for Ashes is presented in bright red with decorated bands of gold circles around the adult urn. The bright red is decorated on the brass metal urn, which is the best quality of the urns produced with classic finish and presence. 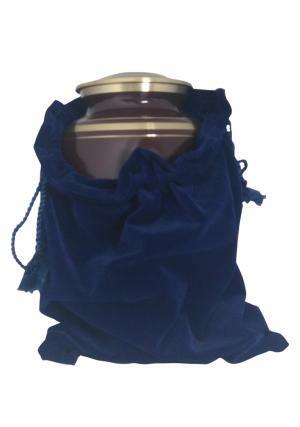 The Classic Elite Garnet Red Adult Memorial urn has the great presence to secure ashes of the loved one and give a comfort and grief to the family and deceased. 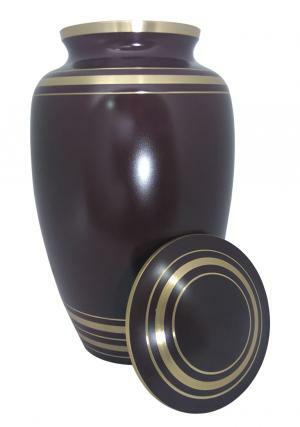 The Adult ashes cremation urn has a secured lid closing which is secured by threaded lid and the urn. The threading to the urn act as a comfort urn of securing the ashes of the loved one with closure. 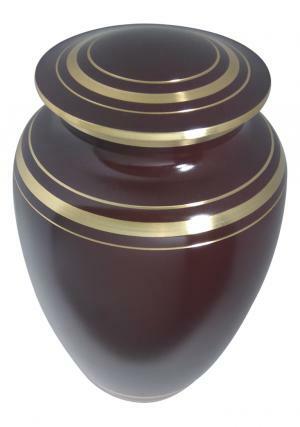 The secured ashes adult red urn is designed by urns expert designers to satisfy the customers and feel pleasured to store the ashes. 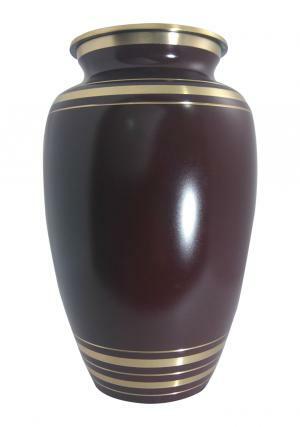 The Elite Garnet Red Cremation Urn for Adult Ashes with the dimensions of 10.24 inches in height, 6.1 inches in width which weighs around 2 kg to an approximation without ashes in it and capable of storing 200 cubic inch ashes.